Our annual report for 2015/16 represents an important milestone in Wilfrid Laurier University’s tremendous growth and commitment to research excellence. As a research-intensive institution with a long tradition of meaningful scholarship and teaching excellence we are further creating new innovations and approaches for supporting the vibrancy and sustainability of our communities both locally and globally while fully engaging our students in all aspects of our research efforts. Our Strategic Research Plan and our growth as a mid-sized comprehensive university have established an incredible foundation to further position Laurier for greater research success in the future. Our thematic areas of strength include an exceptional capacity and commitment towards our environment; a significant focus on governance and policy leadership; an emerging commitment towards health and well-being; a longstanding focus on culture and society; and world-class capacity in economics, markets and management. 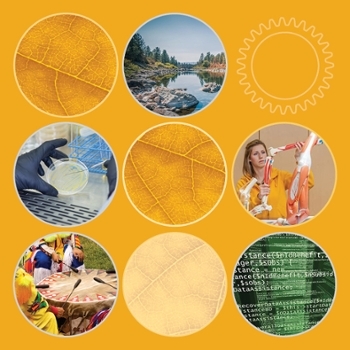 The people and research programs highlighted in this annual report provide a sample of the many accomplishments and successes in these thematic areas and beyond. It highlights that Laurier is truly an emerging research institution. The Office of Research Services is committed to providing exceptional service to all faculty, students, staff and our external partners to grow the impact and innovation of our research outcomes. We take very seriously our service role throughout the institution and this accountability is a key attribute of all of our staff. We are truly proud of our growing research excellence and look forward to continuing to work with all of our communities to not only grow but maintain this momentum. Every year, the federal government invests in research excellence in the areas of health sciences, engineering, natural sciences, social sciences and humanities through its three granting agencies, the Tri-Councils. Laurier has seen its Tri-Council funding grow a significant 30% over the past five years. In 2015/16, Laurier received $5.8 million from the Tri-Councils, an increase of 16% over the previous year alone. The Social Sciences and Humanities Research Council of Canada (SSHRC) funds a diverse range of researchers at Laurier including economists, psychologists, political scientists, philosophers, historians and social workers, amongst others. This year, Laurier received $2.8 million from SSHRC, which represents an increase of 46% in the past five years. The Natural Sciences and Engineering Research Council of Canada (NSERC) is the dominant source of funding for researchers in the physical sciences. Laurier’s natural scientists have made significant strides over recent years, and this year Laurier received $2.5 million from NSERC, a 13% increase from the previous year. The Canadian Institutes of Health Research (CIHR) is the Government of Canada’s health research investment agency. While not a major funding source for Laurier researchers, we have seen significant growth in funds received from CIHR. In 2015/16 Laurier saw a 92% increase in funds received from CIHR from the previous year. The Government of the Northwest Territories (GNWT)-Laurier Partnership continues to support a diverse range of research in the NWT. The partnership expands the Territories’ capacity to conduct a range of research, inform policy development and to train the next generation of highly qualified personnel needed to manage the territory for future generations in the face of emerging challenges from climate change and the impacts of growth and development. In 2015/16, researchers working under the GNWT-Laurier Partnership were successful in raising over $6 million in external funds to support their research. In particular, the partnership was awarded $3.3 million from the Canada Foundation for Innovation to support the development of the Changing Arctic Network (CANet). CANet, led by Philip Marsh, Canada Research Chair in Cold Regions and Water Science, will enhance the understanding and prediction of ecosystem processes across the mainland NWT through the enhancement and establishment of 10 ecosystem observatories. Northwestern Canada, including the mainland portion of the NWT, is among the most rapidly warming regions on Earth and is expected to experience increasing human disturbance through mining, oil and gas exploration and production, and construction of new highways and pipelines over the coming decades. The science conducted through CANet will provide the GNWT with urgently required, science-based evidence for effective environmental regulation and management, land use planning, and water resource management. A significant amount of Laurier’s research is provincially funded. In 2015/16, Laurier saw an 86% increase in provincial research sponsorship over the previous year. Notable amongst this funding is the support Laurier’s emerging leaders receive from the Ministry of Research and Innovation through its Early Researcher Awards program. The program provides substantial support to the most promising early career researchers to help them establish and advance their research programs. Little is known about veterans’ personal experience upon return from war where they must adapt to their peacetime lives and re-enter families and communities that continued in their absence. Mark Humphries, Director of the Laurier Centre for Military Strategic and Disarmament Studies and Dunkley Chair in War and the Canadian Experience, will use the support of the Ontario Early Researcher Awards program to preserve, digitize and analyze more than 300,000 pension records of Canadian First World War veterans to better understand how the war changed their lives. By creating a large digital database of these records, currently slated for destruction, Humphries, along with his team, will preserve a part of Canada’s history. The information will enable other researchers to look at the life of veterans and their families. In 2015/16, Laurier was home to 11 Canada Research Chairs and 22 donor-sponsored chairs, professors and fellows. 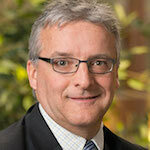 Every year, Laurier honours one exceptional researcher as the University Research Professor. The award recognizes a continuous record of outstanding scholarship by a full-time Laurier faculty member and enables the recipient scholar to complete a major piece of research. In 2015/16, English and Film Studies Professor Eleanor Ty received this honour. In 2016, Anne Wilson, Canada Research Chair in Social Psychology, was also appointed as a Fellow in the Successful Societies program of the Canadian Institute for Advanced Research. The Canadian Institute for Advanced Research (CIFAR) is an institute of advanced study that creates and maintains global research networks working on complex areas of inquiry. The institute helps innovative pioneers to push further, and expand the boundaries of understanding in ways that would otherwise not be possible. As a Fellow in CIFAR’s Successful Societies program, Anne Wilson joins other leading academics from sociology, political science, political philosophy, history and economics, who are interested in addressing societal inequalities. This prestigious appointment will allow Wilson to expand her work in the area of personal and social identity (including gender, ethnicity, nationality and religion) across time. Many other Laurier researchers – faculty and students – received awards in fiscal year 2015/16. The following is just a sampling of them. In 2015/16, Laurier researchers were engaged in research projects across 37 countries and were active in global interdisciplinary networks working to solve complex, global issues.